Steph's Stacks: Trailer Tuesday: Carrie, Bad Kids, Scarlet, The Madman's Daughter and Twilight: Breaking Dawn Hillywood Style! 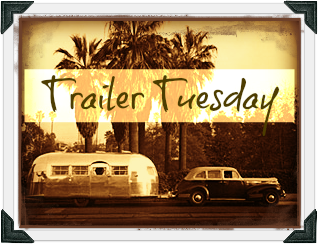 Trailer Tuesday: Carrie, Bad Kids, Scarlet, The Madman's Daughter and Twilight: Breaking Dawn Hillywood Style! Bad Kids Go to Hell (In theatres December 6th), is based on a graphic novel mini-series by Matt Spradlin and Anthony Vargas. The premise is Breakfast Club meets The Grudge as six prep schoolers are forced to serve weekend detention together in a a library over haunted ground. Someone gets the bright idea to summon some spirits. Sound plan, right? The movie stars Judd Nelson, which is completely perfect casting! Check out the trailer for the sequel to one of Steph's Stacks Faves 2012, Cinder. Scarlet, the second installment in Lunar Chronicles series by Marissa Meyer will be in stores (and in my hot little hands) on February 5th, 2013. Until then here's a little book trailer to tide you over. I'm am not sure where to start about The Hillywood Show productions (which can be found on their You Tube channel). I just found them this week and I think I have already devoured every video they have made. Hillywood's take on pop culture as parodied through songs crack me up to no end. They have taken shots at everything for Hunger Games to The Vampire Diaries, but for your viewing pleasure today, I present one of my very favorites: Breaking Dawn Parody by The Hillywood show.